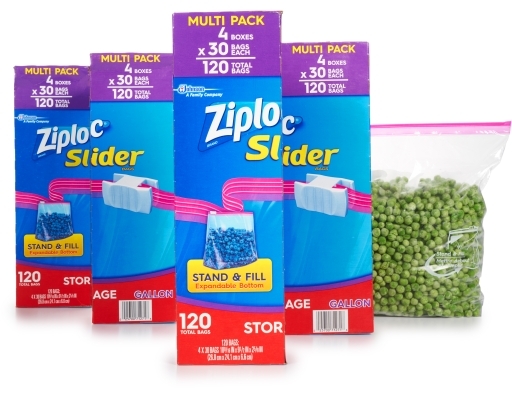 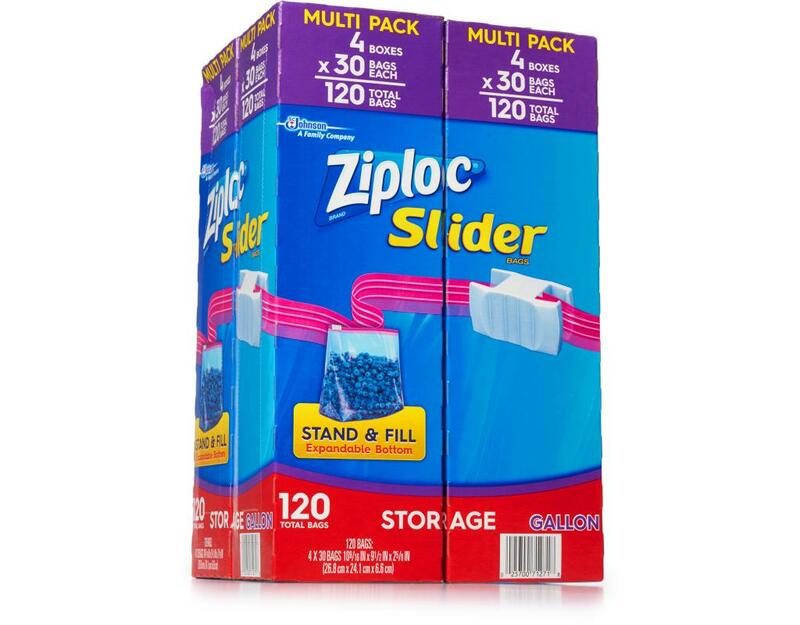 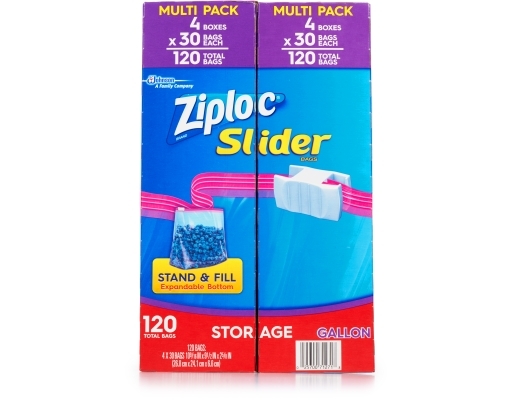 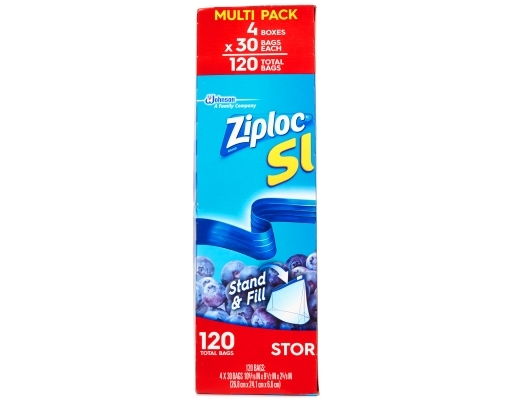 Keep food fresh and secure with these gallon size Ziploc brand Slider bags. The slider closure makes these bags easy to open and close! 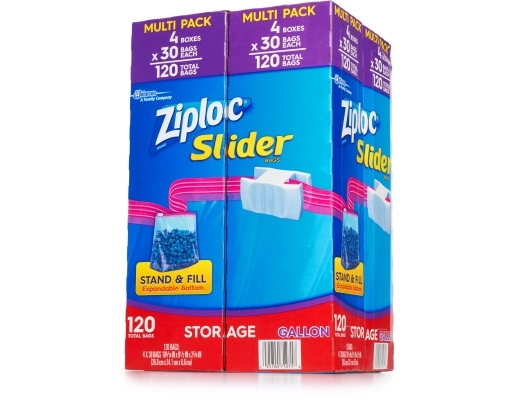 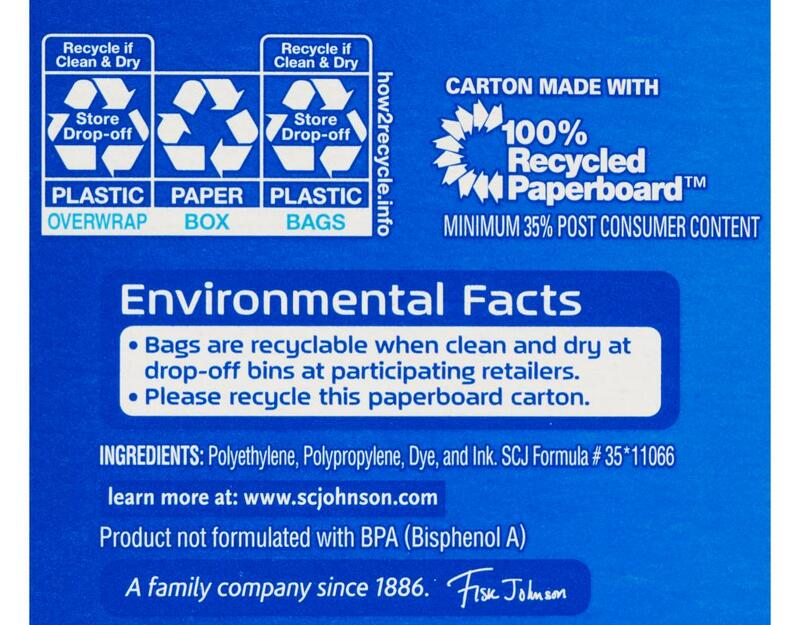 Each bag features an expandable bottom that opens into a flat base, helping the bag stay upright. Plus, these bags feature the Smart Zip seal—it lets you hear the bag close so you can feel confident your food is protected.